I’m a first-time-in-college student seeking a bachelor’s degree. I’m a former student, a non-degree seeking student, or a visiting student. Huntingdon College believes strongly in the value of students’ early exposure to career possibilities. Gaining observation and hands-on experience in a career field informs your career choices in many important ways. 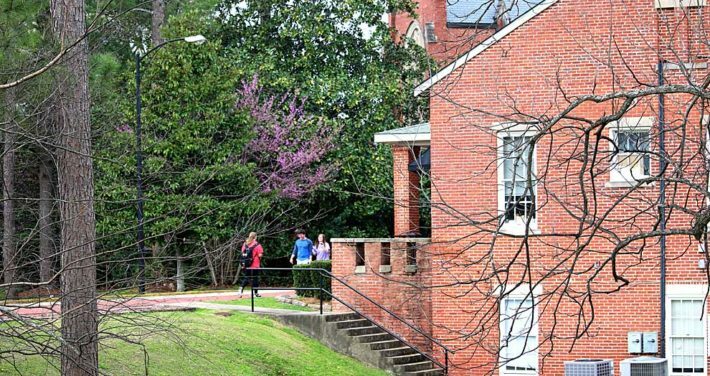 Admission to Huntingdon College is granted on a rolling basis for the fall and spring semesters. Prospective freshmen are encouraged to apply as early as possible after completion of the junior year of high school. Admission decisions are based on a variety of factors, including strong secondary school preparation demonstrated by course selection and grades, college entrance examination scores, individual achievements and interests, and other indications of ability to benefit from the college experience. ** If a high school student’s grades drop below the necessary HS GPA after the 1st semester, the student’s admission condition will not be changed. The files of the students who do not achieve theses minimum standards will be reviewed for admission by the Office of Academic Affairs. Note: Students who are admitted by December 1 for the following fall term and who qualify may apply for consideration for Academic Merit Scholarships. Submit your Application for Admission. Your transcript should include your senior year class schedule. If you are accepted, you must send a second official transcript after you graduate from high school. If you have earned a GED, you must submit the official score report in addition to your high school transcripts. Submit official ACT or SAT test scores. Your scores may be sent directly from the testing agency or may be included on your official high school transcript. Begin the financial aid application process after October 1 of the year prior to fall admission. See fafsa.ed.gov to get started. After you have completed the application process, your file will be evaluated and a decision will be communicated as soon as possible. Admission decisions are made on a rolling basis. Huntingdon College welcomes applications from students who wish to transfer from other regionally accredited colleges and universities. Transfer applications are reviewed and admission decisions are reached after the required information has been received by the Office of Admission. If you have completed at least 24 semester hours of non-remedial coursework at an accredited college or university, you may apply for admission as a transfer student. If your academic background does not fit this definition, you may apply for admission as an incoming freshman. 24 hours or more and 2.0 or higher college gpa Admissibility determined by College GPA; no ACT of High School Transcripts Needed. In addition to the grade point average requirement, you must be in good academic standing at all institutions previously attended. Transfer applicants under academic or disciplinary suspension or dismissal from a previous institution cannot be admitted to Huntingdon until such sanctions are lifted. Submit official transcripts from all colleges attended. If you are enrolled at a college, a second transcript indicating completion of the term and eligibility to return to the institution will be required. Transfer Scholarships are determined by a student’s cumulative academic grade point average. For students who have attended more than one post-secondary institution, the academic grade point average will be calculated from all colleges and universities attended. You may begin the need-based financial aid process after October 1 of the year prior to fall admission. 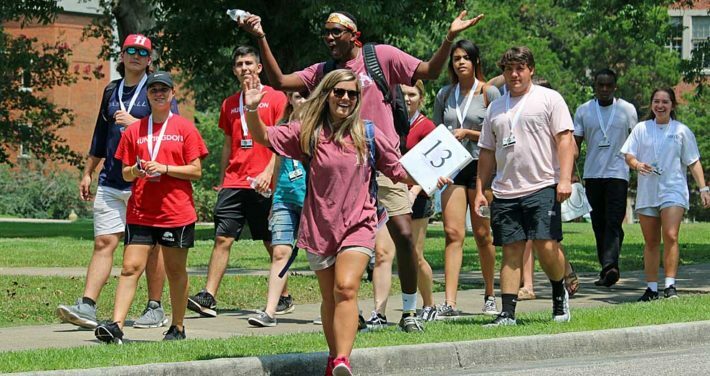 As a transfer student, up to 64 semester hours earned at a two-year institution or 90 semester hours earned at a four-year institution may be credited toward the 120-semester-hour degree requirement at Huntingdon College. Transfer credit is granted for any course deemed comparable to a course offered for academic credit at Huntingdon College or of such a nature that it would carry academic credit if it were offered at Huntingdon, provided that the student has earned a grade of “D” or better, or, in the case of a course taken on a “Pass/Fail” basis, a grade of “P” (the “P” must be equated to a “D” or better). Transfer credit is evaluated by the Huntingdon Registrar’s Office once a student has been selected for admission and has confirmed an intention to enroll. No student may assume that credit will be given for work at other institutions until a written statement of credit accepted is received by the student from the Huntingdon Registrar’s Office. Q: What if I need to know which credits will transfer to Huntingdon before the Registrar's Office can perform an official evaluation? 1. The Huntingdon College Catalog. Use this resource to compare Huntingdon course descriptions with descriptions for courses completed at other colleges or universities to determine if the content is similar. 2. The Registrar’s Office keeps a database of courses that have been evaluated from other colleges and universities. Note that if a course you’ve taken isn’t listed, that doesn’t mean the course will not transfer to Huntingdon; your course may not have been evaluated previously by the Huntingdon Registrar’s Office. Q: What courses from other colleges or universities will not transfer in? 1. Courses in professional, vocational, or sectarian religious study. 2. Courses below the level of introductory courses at Huntingdon College. 3. Courses that have not received a grade of “D” or better. 4. Courses completed while a student was not in good academic standing. 5. No credit is granted for general military training or attendance in service schools or training programs in the Armed Forces (unless such attendance is equivalent to a course offered at Huntingdon College). Q: What if I am not currently in good academic standing? A transfer student must be in good academic standing at all institutions attended previously. Transfer applicants under academic or disciplinary suspension or dismissal from a previous institution cannot be admitted to Huntingdon until such sanctions are lifted. Readmits—students who were formerly admitted and would like to apply for readmission. Special Students—students who are non-degree seeking but who would like to enroll in credit-bearing classes. Transient Students—visiting students who are enrolled at other colleges. Because of the prohibitive costs involved in processing international student admission, Huntingdon College does not process international student applications at this time. For assistance, please contact the Office of Admission at (334) 833-4497 or 800-763-0313. If you are a former Huntingdon College student who wishes to return to Huntingdon, please submit an application for admission to the Office of Admission. Students who have attended other institutions during their absence from Huntingdon must have official transcripts and financial aid transcripts (whether aid was received or not) sent from each institution attended. An interview with the vice president for enrollment management or provost may be required as part of the readmission process. Students who are readmitted must receive clearance from the Office of Student Financial Services and the Registrar’s Office before they may register and attend classes. Please refer to the Huntingdon College Catalog for possible changes in degree requirements. Prospective Special students must confirm their completion of high school or the GED and provide all previous college transcripts, or they must be approved by the provost. An individual denied admission to Huntingdon College as a degree-seeking student is not eligible to register as a Special student. Special students may not take classes numbered 300 or above without the approval of the provost. After completing four courses as a Special student, the student must have a cumulative grade point average of 2.0 or higher to continue as a Special student. Exemptions from any of the above restrictions may be granted only by the provost. Payment arrangements for Special students must be made in accordance with the policies set forth for regular students as defined in the Huntingdon College Catalog. Special students will be charged at the same rate per credit hour as regular students; are not eligible to live in residence halls or to participate in intercollegiate athletics or fraternity or sorority membership; and are not eligible for any Huntingdon College scholarships or Title IV federal funds. If a Special student subsequently meets regular eligibility admission requirements and chooses to become a degree-seeking student, transcripts from previous colleges and universities attended will be evaluated. Any credits earned while designated a Special student are applicable toward the degree sought at Huntingdon College. Special students must adhere to the same institutional academic policies (except as noted above) as regular students. 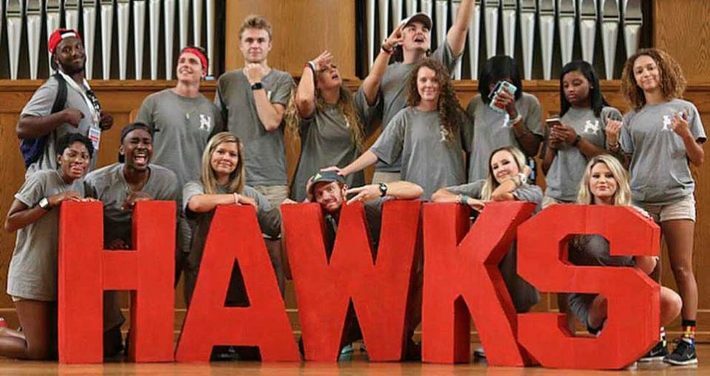 Transient status is available to students regularly enrolled and in good standing at another college or university who desire to attend Huntingdon College. To be considered for transient admission, submit a letter of good standing or a transient form indicating good standing and pre-approved courses from your home institution. This information should be presented to the Huntingdon College Registrar’s Office at the time of enrollment.